There are many great luthiers and weissenborn manufacturers operating in the market place today but none have made such a striking impact as Iseman Guitars in recent years. Based in Hawaii, making Hawaiian guitars with local Hawaiian koa wood they consistently make the most gorgeous weissenborns i have ever seen. Every single one of their 80+ weissenborn creations to date have been simply jaw droopingly beautiful. Couple this together with a competitive pricing policy and a relatively quick turn around time the guys have established them selves as a serious go to company for world class weissenborns. 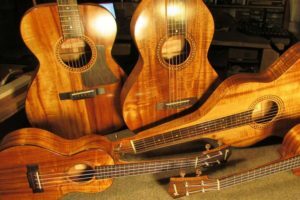 I recently asked co-owner Matthew Nigro to tell us how himself and Mark Iseman made this leap from disillusioned band members to full time manufactures of world class Hawaiian instruments. I also knew Matthew was very knowledgeable about the history of the instrument, its construction and Hawaiian music in general so it was a delight to pick his brains and throw lots of questions at him on all 3 subjects, subjects Matthew was more than willing to discuss at length. OK Matthew i would like to start our conversation off by talking sole about Koa wood. As a luthier and purchaser of koa wood you are in a wonderful position to try and answer a few questions about this desirable weissenborn wood. OK lets kick off with a curve ball question. Is there any credence to my own personal theory (and i stress this is my own theory) that Koa became almost exclusively used for building weissenborns because of its Hawaiian association. What i mean is that other mainland American woods were readily available and easier, cheaper to source that Knutsen and Weissenborn could of used for their hollow neck manufacturing boom. 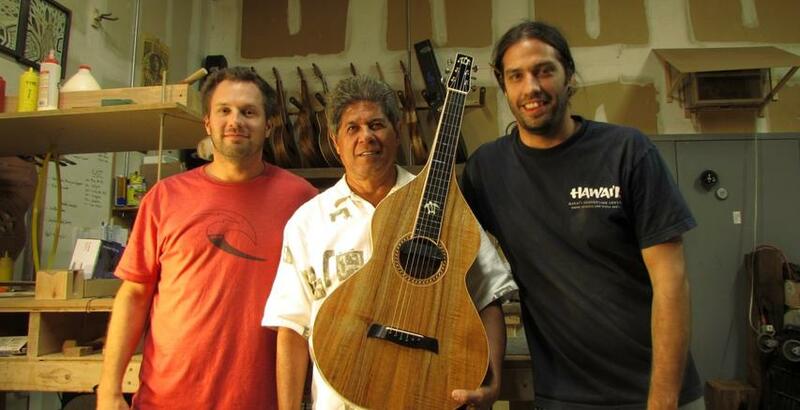 A Hawaiian guitar built from wood from Hawaii is easier to market. For instance I have heard some luthiers (not necessarily Weissenborn builders) say a spruce top makes for a better all round sounding guitar, would you agree that we are hooked on koa’s good looks and geographical association when it comes to the choice of Weissenborn tops for instance, are we fashion blind to other tonal combinations that may be better sounding? Yes, you pretty much said it all, except people are not fashion blind for one reason: Koa sounds great! It makes sense to market something special from Hawai’i with its roots & culture sunken into the instrument itself. 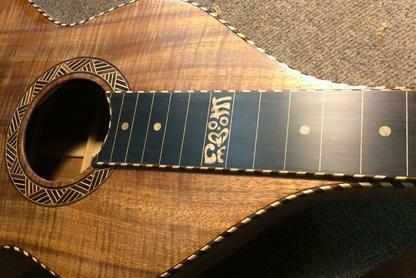 What better way to honor the instrument than to use the Native Hardwood to embody the sound and spirit of the Islands. It was a brilliant idea. 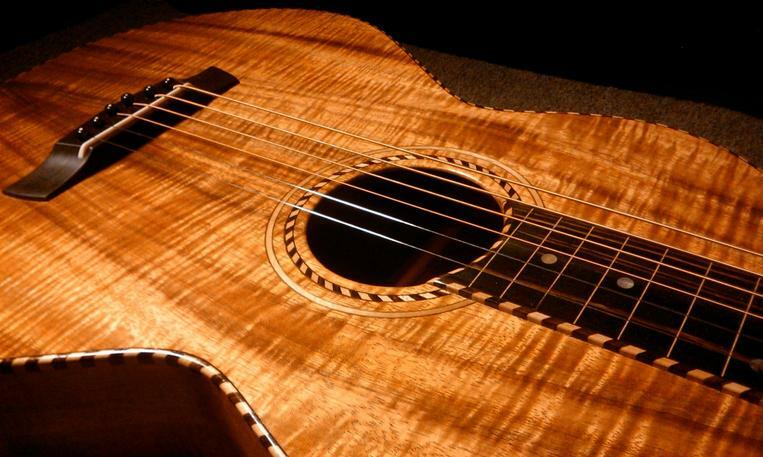 The Koa really offers a very complex, yet balanced sound from low to high. Since the construction itself allows for maximum resonance, it works hand in hand with the high attack and the punch Koa can offer. Whether they used Koa simply for its aesthetics or not, the tone of the Koa is still among the best in the world. I am sure such a decision about the sound of the Koa was made and approved. 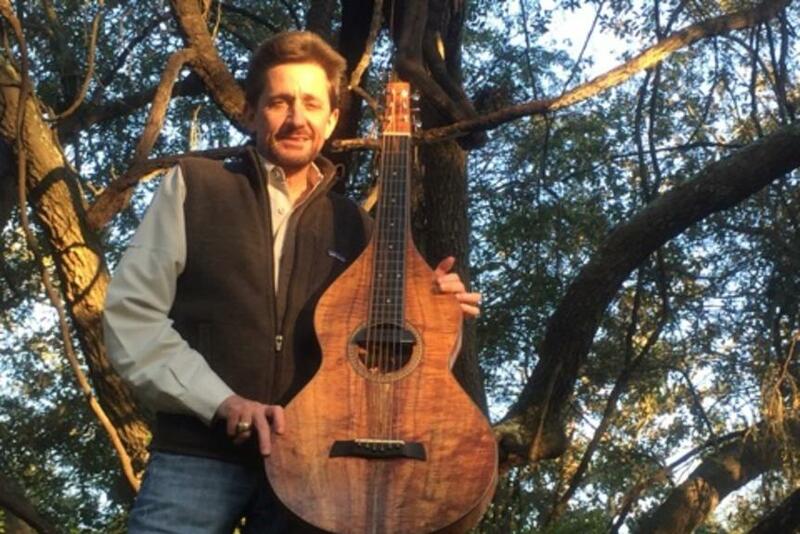 Hermann did produce a handful of Spruce tops, so I am sure the sound and tone were compared to the Koa. Even still the Koa remained by far the top seller. A spruce top is typically considered one of the best tonal woods you can find. It has it’s own traits, just as any wood. A spruce top Weissenborn would sound great, no doubt. Personally, I would rather have a Koa top not only for the aesthetics, but for the deep complexities in the sound it creates. The highest grade (5A) Koa always produces the best sounding guitars, true or false? This is not a True or False question. There are so many factors including density, consistency, grain, curl, consistency of the curl, and if it is properly quarter sawn, method of drying. 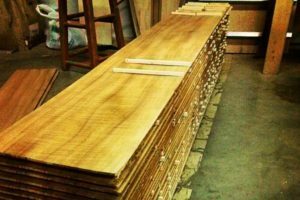 We source our Koa that is already handpicked to be used as instrument grade for its quality and density. So far every weissenborn we build sounds almost identical. Once in a while I do catch myself saying, damn this weissenborn sounds amazing! So once in a while, I may notice small differences. Roughly what percentage of a finished weissenborns price is purely down to the wood set used? About 15%. The grade of Koa also plays a factor in cost. So as you can see with all the labor and costs of production, our retail price is relatively low. Koa is one of the fastest growing trees in Hawaii, 20-30 ft in five years. So is there profit to be made from planting Koa trees as a long term investment? Yes, people have Koa farms here and they do just that, pretty sure that is where the mainland companies get majority of their stock. There are reservations on the elevated slopes of Big Island where Koa cannot be cut. There are ranchers/landowners that own land close to the reserve that only allow ‘fallen’ Koa to be taken and used by rightful landowners. There is a big difference from what I have seen between the Koa Farms and the fallen Koa found close to the reserves. Will there come a point in the future where Koa simply isn’t available for guitar makers anymore? I think it will always be available as long as the reserve stays protected and in the hands of good people. We have a very sustainable source, we only use ‘fallen’ Koa that is taken from land after a tree dies or falls. We do not sell our Koa to anyone, we only build with it. As long as this wood is used sustainably by local builders and artisans, and kept local, there should be no shortage. Alternative woods closest to Koa’s tonal qualities? Mahogany would be the closest hardwood in comparison. Where does the majority of Koa available to luthiers now come from nowadays as most of the koa tree population is now under government protected conservation areas? It really depends on who they know. I would say for mainland companies: mostly from the Koa Farms, where they are cut. They usually get cut before they can attain high figure. It takes over 30 years they say for the Koa to start producing high figure and curl. Since the owners with land close to the reserve only harvest ‘fallen’, you are more than guaranteed an old tree that lived a long life, and therefore the amazing figure. You will see a lot of larger companies using less figured Koa. So you can see a connection between grade usage and the source. It is really hard to describe the Koa market, some people may have huge Stock Piles of Master grade Koa, and its been sitting for 50 years. Selling it off slowly or hanging on to it. On the other hand some people say Master grade does not exist anymore. I have heard a lot of different stories. I think it comes down to everybody own’s perspective. Where do you source your companies supply of Koa wood from? Is it a bit of a lottery buying Koa wood? Do you have any tests or markers to look out for before you buy it, and does experience play a significant part in the selection process? I love buying Koa, it is usually the start of a glorious day. The sunrise shimmering on the curly figure of huge cants strewn about! We have obviously certain dimensions and grade we are looking for, free of knots, cracks, rot, etc. We buy everything in large cants and we mill the cants up ourselves into long sheets about .190” thick. The Dimension of the cant is usually about 12’’x12’’-24’’x 5’-12’feet. Is there such a thing as a bad koa log, i.e. one that is large enough but simply not suitable for making guitars with? Yes totally. You can buy a cant and then mill it only to find a series of knots and cracks that basically gives you nothing to work with. We so far have not had such a bad occurrence. We dry the wood ourselves in such a manner that is best for instrument grade. We feel kiln dried is too fast, although it is used a lot by other companies. This is another big factor for producing instrument grade sets. Your views on trees on different sides of the island produce different tonal qualities? We use only one source, we have experienced very consistent results for all our instruments. I would say the density of the Koa is a determining factor in tonal quality. I am not sure if denser Koa grows in certain areas better than other’s. I can say we have used relatively dense and very dense Koa, and they both sound very similar with the weissenborn construction. How long do you hold onto your Koa before you use it? Do you air dry your Koa or use a kiln? We usually have it for a month or so depending on how fast it dries and we get a chance to mill it. Our drying process takes about 7-14 days. We air dry using a small conditioned room with a blower and de-humidifier. What’s best then air dried or kiln dried Koa wood? How long does air drying take as opposed to kiln? In practical terms is there any real tonal difference between air dried and kiln dried? Air Dried allows for the Koa to remain consistent as it loses water slowly from the material’s cell walls. Drying too fast exposes/creates potential cracks, weaknesses and can create inconsistency’s. Consistency of the material is very important for the travel of sound and vibration. What are the various stages and time intervals a wood set goes through from freshly cut log to finished usable guitar wood set? So the cants are cut up when they are “green” or still wet. After we mill them in long sheets at about .190’’ thick we have them spaced out evenly with weight on the top to apply pressure as the Koa dries. This keeps them flat and even as It dries. Here is a picture of a stack before we put in the room and apply pressure. This process usually takes about 7 – 14 days depending on how much Koa we have in the room. After the Koa dries, we are able to cut out sets for the weissenborns and bookmatch them properly. What is koa like to work with, is it a forgiving wood to use? I love working with Koa. It is a hard wood that is very easy to work with. It does not hold a bunch of oils that would otherwise gum up sandpaper. It works very well with our choice of finish. The Koa we get is so beautiful, we are most of the time in awe of the wood we are working on. Every instrument we build has its own personality, color and figure. The best part is that first coat of shellac, when you can first see the Koa transform into its final finish. What’s the best piece of koa you’ve ever seen or worked with? I guess that would be of personal preference. There is so much potential variations, it is hard to say. Seriously Koa can be dark brown, gold, red, with hues of white, green, pink, black grains. Its almost a limitless amount of possibilities. Here are a few pictures of some my favorite pieces. They each have their own distinct characteristics that are very beautiful in their own way. Am I right in thinking that although the Weissenborn was specifically made for the Hawaiian boom of the 1920’s there are next to no photos of people or prominent artists of the day that are documented or photographed actually playing the instrument in its heyday? 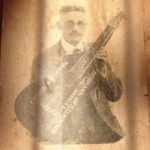 Popular recording artists of the day such as Frank Ferrera played conventional guitars with raised nuts and were not associated with weissenborns, quite a paradox that famous Hawaiian music artists didn’t actualy play weissenborns when Hermann was alive? Well, that is where Knutsen and/or Hermann supposedly got the idea. I have read that Knutsen actually came up with the initial design, although they both had the similar idea. They saw prominent artists using a conventional guitar with a raised nut and realized they could rid the design of the neck and create a square neck construction allowing for superior resonance and volume. Volume was very important in those days while playing live. For about 20 or 30 years, these instruments had a superior volume and thus became widely used. It was not until the resonator and the electric guitar came out that basically replaced these weissenborn style guitars in order to play louder while performing with a group of musicians. This time period is in the 1910’s – 1930’s so I am sure photographic material from this era in Hawai’I may be rare. In recent decade’s the popularity of the instrument became refounded and the pricetag of the originals skyrocketed. They may not have been so well prized until recent. In the great scheme of things the Weissenborn seems to be a non traditional Hawaiian instrument then. It suits Hawaiian music but in reality it was designed and built by a Norwegian and German in mainland America. Do you think that’s why its popularity crashed after 1930 because it has no real grass roots heritage so to speak to carry on its traditions and historical legacy. It was a fashion statement and the fashion changed very quickly back in the 1930’s soon after Dobro invented the resonator guitar. The steel guitar is the root of the instrument. Its invention started in Hawai’I. Any design (there are thousands now) that utilizes a steel bar to slide over strings has its origins in Hawai’i including any music that stems from that culture. Country music adopted the steel guitar after hearing some of the touring Hawaiian players that made way across the mainland sharing their ‘meles’ . I do not think it can be compared to a fashion statement. I think its popularity crashed due to the functionality of the instrument for performance use. It simply was not loud enough. The Dobro/resonator had a loud cutting volume that would stand out over a band. Then the electric guitar and steel was invented, and then pedal steel and so on. There were so many new innovations how could you turn back? The function of volume was the instrument’s downfall. It took about 60 -100 years before people realized the beauty and uniqueness of this instrument. Most of all, it is very simple. After all the complex forms that have come and gone, it seems almost bittersweet you see the revival of a pure form of the instrument. The first of its kind specifically designed for the Slide playing that was invented in Hawai’i. An acoustic steel free from plugs and wires. It matters not the origin of the original designers of the weissenborn. The simple and pure fact is their inspiration for their design came from Hawai’ian players and their music. It must have been very special to be part of it in the ‘Hey Day’ of Hawaiian Music. That heritage and culture lives strong today. So after Hermann Weissenborn stopped manufacturing weissenbors back in the 1930’s was there anyone really making them for the next 50 years? There may been some small shops or Luthier’s, but too my knowledge there has not been a production of his magnitude since he stopped. Would I be way off the mark if I said the Weissenborn still isn’t in todays climate really a go to instrument for traditional Hawaiian artists playing traditional Hawaiian music these days. If anything it’s more associated with roots and blues music these days. The Weissenborn may not be a go to anymore, because of its lack of production, availability, and overall cost. Even more so, people’s lack of knowledge that the instrument even exist, especially the younger players.. I do know of some heavy players our here that have original weissenborn’s. They too are a rare and expensive find. For all the younger steel players carrying the torch, they may not have knowledge of the instrument. You can buy a solid body slide for a pretty cheap these days. As for the weissenborn itself, Yes, Popular modern Artists are primarily playing blues and country tunes. Again, country adopted the steel guitar from Hawaiian players that were touring America in the early 1900’s. They loved that bluesy airy sound they developed. So I would not say that the modern sound is more associated with roots and blues than Hawaiian music, but in reality, it is the Hawaiian music that is the root of the country blues. The country blues has itself been transformed to blues and rock and so on. 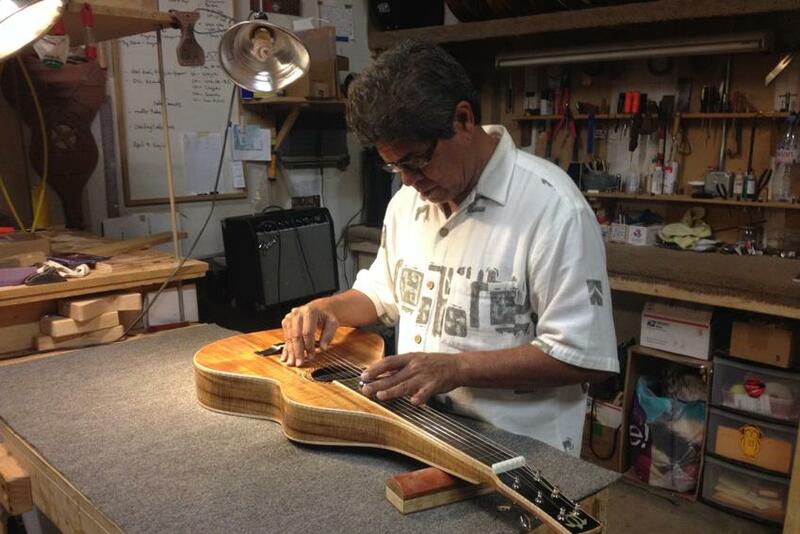 The root of the steel guitar through any modern interpretation will fundamentally always have origins in Hawai’i. So exactly how popular is the Weissenborn in Hawaii these days. I understand there are some of the older generation playing the instrument but what about the younger generation of musicians. Well, I believe this is where we come in. The Steel guitar believe it or not is still taught and the traditions and techniques are being passed down to younger students. The ‘Steel Guitar’ or Kika Kila is still alive, in whatever form it may be. As far as the weissenborn form is concerned I am afraid the younger generations are not well informed. We want to bridge the gap and show what this instrument has to offer. If younger players start inspiring others to learn, the traditions will be passed on. 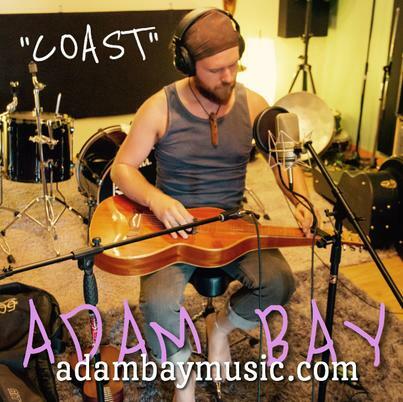 An artist we are currently working with, Tavana, is an amazing musician and steel player/one man band style. We are about to complete his weissenborn guitar. You definitely have to check out his new album Kicking and Screaming, just nominated for a Na Hoku Award for best Rock Album. I believe there is something really special about the weissenborn from other forms of the Steel Guitar. It is really unlike anything I have ever played. I fell in love with the instrument pretty fast, and it seems to be the case with a lot of people I meet. The weissenborn has a strong power to captivate and inspire. Its bred in the construction. Its function and purpose all intertwined to enhance a certain method of play while gaining almost infinite resonance and vibration. I am ashamedly not well informed at all about traditional Hawaiian music. Could you throw a few names at me ranging from the bygone masters to modern day exponents. 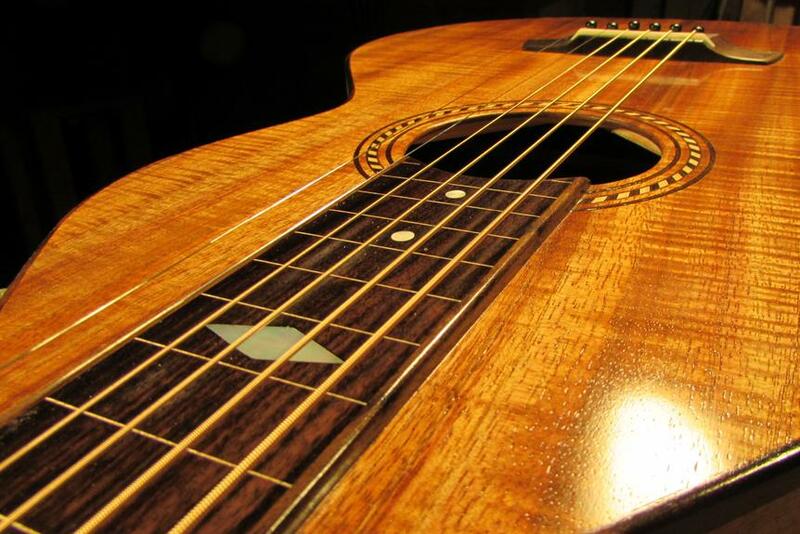 What are the most popular tunings used in traditional Hawaiian music? Are there any important techniques to get down if you want to be proficient in traditional Hawaiian slide music. Definitely. Hearing the correct intonation, coupled with vibrato. Angled slide to hit across different frets to create different modes of chords. You may have to ask a local steel player more about that. I am not a traditional Hawaiian slide player, but have learned a few techniques. What traditional Hawaiian songs could you recommend a beginner try and play? Tell us when and how the company was formed and what was its driving force, financial (i.e. just a job) or craftsmanship (i.e. a passionate vocation)? Well, Mark was working for Kanilea Ukulele, and he decided he was going to build a Weissenborn guitar solely for himself. At the time we were in a band together that had just unraveled. We were jamming out, playing guitar, drums, and his new addition handmade weissenborn. The first Iseman! We were both amazed how great the guitar sounded. The idea hit us! I was like, Mark, why don’t we build these? 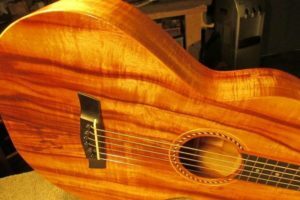 We did some research and found we could fill a gap and produce these amazing instruments here in Hawai’I, the birthplace of the Steel Guitar, with the source wood Koa. We could complete the circle and create a niche market for ourselves. So we decided to set up shop. We had the means to do it. Mark had over 5 years previous experience at National Resophonic in San Luis Obispo, CA and a few years at Kanilea Ukulele on Oahu. The woodworking he did was mindblowing. He is a true artist when it comes to woodworking, an absolute ‘natural’. His attention to detail and perfection really are the quality control that made us so successful. I have had jobs doing woodworking and carpentry nearly my whole life. My father had a full on wood working shop in our basement growing up in Massachusetts, so I was no stranger to it, I knew I could handle the woodwork, and also the marketing & business end of things. We saved up some pennies and opened up shop. Our passion for the weissenborn grows every day. Tell us about your self and your partner Mark Iseman, what are your backgrounds? I myself am originally from Massachusetts, more specifically the city of Worcester. I grew up in a very musical family and had a lot of influence from both my parents, as well as my 3 older siblings. I started learning guitar at a young age because my father played, and I used his guitars to learn. My mother is a Music Professor at Worcester State College, she teaches and also conducts the University Chorale and Orchestra. Needless to say I was exposed to heavy amounts of classical music, chamber music, along with varieties modern music from my siblings, and blues and folk music from my father. 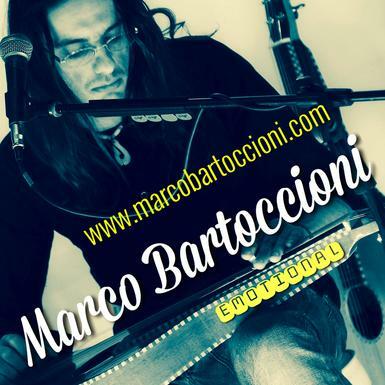 I learned to play numerous instruments and attempting to play them simultaneously created new passion for music production. Mark and I met for an international Jamaican roots reggae recording project I had started producing in Honolulu. We were connected through our Bass Player, Stitch, and Mark became our rhythm guitarist. The band didn’t pan out as we had our singer stuck in Jamaica and other musician issues. Mark was living in Maui at the time and moved over here to Oahu to be part of the project. 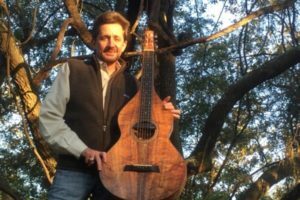 He is originally from Central Coast, California, where he not only learned to become an accomplished guitarist, but also delved into guitar building at National Resophonic. He worked there for over 5 years. Music brought us together, and I am sure weissenborn player’s are happy it did. Music is always the passion at the core of Iseman Guitars. It’s the inspiration that drives musicians to create something new. It feels great to work with other artist’s knowing they will inspire other’s and that we had a hand in the creation of a sound. To date how many weissenborns do you think you’ve made between you? We have made about 80 Weissenborns, we have made over a 100 instruments so far. In the future, we hope to pick up the pace of our weissenborn production. How long does it take to build one of your weissenborns from placing the order to receiving the finished instrument? It can take about 2 -3 months at the moment. We are hoping to speed that up a bit and have about 15 Weissenborns out every month to keep up with our demand. Is business and demand for weissenborns growing from your companies prospective? Yes, definitely. I remember in the beginning year or so we were wondering if there is a big enough market to buy our supply. We started taking custom builds and venturing into guitars and other instruments, and everytime we did, we just wanted back to building weissenborns. We realized we need to stick to the core of what we do. We need to build weissenborn’s. Like I sad, we cannot keep up with our demand. I think we are doing something very special over here, and the price is definitely nice considering. We are taking steps to up our production to handle the demand. What percentage of Weissenborn to other instruments do you make? 80% of our instruments are weissenborns. You may see an increase in that percentage in the future. How long does it take to build and finish a Weissenborn in your workshop? 40 – 50 Hours of actual labor. That is not including drying times for glue ups and the finishing process. Do you make and hold stock or build just to order? We try to hold stock, but we cannot keep up at the moment. We prefer holding stock over build to order basis. When we complete a weissenborn for stock we can advertise it to the market, which otherwise would not be seen on an order basis. Advertising each weissenborn helps establish the brand. Holding stock and the marketing go hand in hand. People love to see what we are doing, that is why we want to improve our production to keep up with the demand. We get some custom builds once in a while, which we hope to stray away from. If you get a custom from us your pretty lucky at this point. Other than Koa do you use other woods in your Weissenborn range, I believe I saw a beautiful native mango wood weissy of yours, what does that sound like in comparison to your koa weissenborn? Yes the Hawaiian Mango is beautiful. We got a batch of some really curly spalted Mango and we made a few weissenborn’s with them for the back and sides. We still used Koa for the top. I personally loved the sound it produced. The mango added a softer vibration to the already punchy and loud Koa top. The blend was very nice. Where do you source your Koa wood from? It is all from one source, Big Island. Strictly ‘fallen’ . Shellac vs lacquer, pros and cons and your thoughts and what is your favoured process and why? We use shellac and oils for our finish. We believe that the shellac and oils actually bring out the wood’s sound and tones. Basically, it enhances the sound of the wood and increases vibration. We also feel that lacquer and nitro based finishes although glossy and beautiful, attaches a thick coat of basically plastic material that inhibits the soundboard. It restricts the cell walls and imposes an artificial layer, almost as thick as the soundboard itself. It provides better protection to the guitar, but why give up vibration for it? Mark recently took an older conventional guitar of his(not an Iseman) stripped away the lacquer and refinished it with shellac and oils. It was a spruce top, and the difference is huge. Volume has increased, sound and natural tone are through the roof, and the resonance is so amazing its almost like you can hear sympathetic strings ringing, when playing certain chords. Look at one of the highest priced violins in the world, the Stradivarius, known to have the best sound. A lot of researcher’s claim it was the shellac and oil finish he had come up with that made the violins sound like they do. I’ve seen you Matthew play the Weissenborn and your are a very accomplished player, tell us about your love of the instrument and how you became a player and fan yourself? Well, I have always played guitar since I was young and studied with some pretty great players back in Boston growing up. I had tried playing slide a few times and steel, but never really got into it. It was not until Mark actually built that weissenborn that I really started getting into it. The start of our company and the progress of my ability to play the instrument went hand in hand. I remember building dozen’s of weissenborn’s for other people and yet still to own one! I would dream of playing one almost every night, so I went ahead and built one for myself. There was a learning curve on the instrument, but I seemed to pick it up pretty good once I got going. 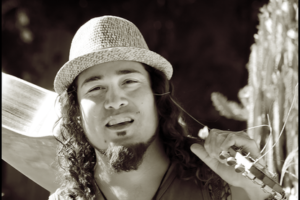 We had a lot of great influences around us, like Greg Sardinha. Man, watching him play opened my eyes to all these amazing techniques and chord arrangement, angled slides and all that good stuff. He holds so much knowledge of the instrument, it really is amazing. That is why I say the fundamentals of any steel guitar come from Hawai’i. When you see someone like him play, you start understanding that reason. The weissenborn is such a unique instrument. It cannot be compared to anything else. The more I play it the more I fall in love with the instrument. The amount of expression and possibilities I believe surpasses conventional guitar play, based on the fact you have the ability to hit microtones. It is the type of instrument that once you realize its capability, there is no turning back. You will get addicted. It’s a simple and satisfying acoustic machine that has the ability to inspire every one that sees and hears it almost immediately. I have been working on some new tunes, I am sure we will get some videos documented soon. Is it just you and Mark who work run and work in the workshop? Yes, it is just Mark and I at the moment. We handle everything from the ground up. From the woodworking to the marketing and sales. Where did you both learn how to build guitars and especially weissenborns? Current Product range and future possible additions? Weissenborn’s, weissenborn’s and more weissenborns! In the future we want to create a Traditional replica series, copying the exacting standards of the originals Hermann built. We have done a lot of research and have a few more collections to look through. But guaranteed you will see squared bracing with mill marks, and other vintage-like discrepancies the originals were known for. They were known for being kind a ‘rough’ build, things you would not be able to get away with these days. Pricing policy seems very reasonable for such a high end hand made guitar, what’s your pricing theory? Our initial pricing theory was to offer a koa weissenborn at the 2k range where we felt there was a gap in the market. Most high end Luthiers and original weissenborn’s range from 4k-12k. Then you can get a Chinese one from 300-1200. 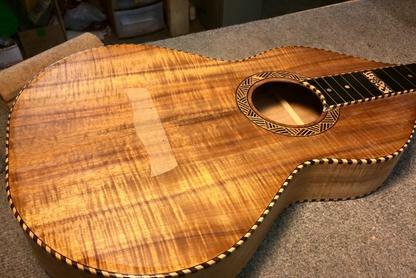 Our price sits right in the middle of this and you will get the best sounding, high quality instrument you can find, not too mention the best Koa on the planet built here on the Islands. We felt in doing so we can help the weissenborn as an instrument grow. Since we have opened we have seen an exponential increase in the amount of people who are starting to play the instrument. What countries are the majority of your customers from? How close is your Weissenborn design to the original? And how important is that to you that it’s sympathetic and accurate to the original. I mean tooling techniques and modern day technology means you can improve from the original so why wouldn’t you? tell us your thoughts on this subject. How much of a weissenborns characteristics is down to the wood over the luthier. 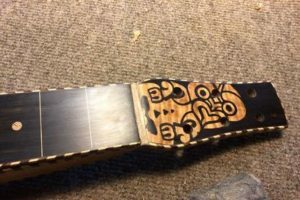 I mean what influences can the luthier have on the instruments finished sound, taking all luthiers are equally skilled in construction (which may or may not be the case) what does experience bring to the assembly table and the finished product? The weissenborn’s main characteristics come from its hollow neck construction, regardless of which luthier builds it, it will most likely sound great. Look at the originals, they were very rough builds, but they sound amazing. Experience allows for consistency and proper methods for construction. Like I said having high quality control is definitely a determining factor in having an aesthetically pleasing instrument as well as a great sounding instrument. In these modern days customers expect both. Hermann would probably not get away with his building process today if he used the same methods. There is however a very big difference in Chinese made to Luthier made in terms of quality, sound, and overall volume. Company objectives and goals for the future?